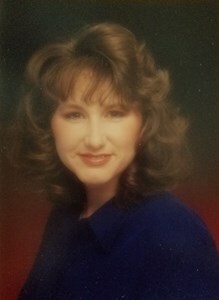 Newcomer Family Obituaries - Christine M. Perkins 1965 - 2019 - Newcomer Cremations, Funerals & Receptions. Christine Marie Perkins, age 53 of Dayton, passed away Thursday, January 17, 2019 at her home. She was born September 28, 1965 in Dayton, Ohio to Daniel and Kathleen (McCrate) Collins. She is preceded in death by her father; maternal grandparents, James and Martha McCrate; uncle, James M. McCrate and aunt, Sr. Mary Rose McCrate CPPS. Christine is survived by her mother, Kathleen; brother, Gregory A. Collins; aunts, Patricia and her husband, Bruce Gibbons and Mary Eleanor McCrate; numerous cousins and other extended family and friends. Christine was a 1984 graduate of Alter High School and attended School of Advertising Art, receiving her associate degree in graphic design. She had been employed by AdVentures, Kettering as the art director and had the opportunity to work with many local clients on prestigious projects. Christine was recognized for her accomplishments in the industry with 2 Hermes Creative Awards. Later she gained employment as the groundskeeper for Carriage Trace Condominiums and has worked there for the last 10 years. Christine attended the Church of the Ascension and loved home improvement projects and landscaping. She was proud to have won the most recent Centerville City Beautification Award for her employer. Family will receive guests from 10:00-11:00 am Saturday, January 26, 2019 at Church of the Ascension, Kettering. Mass of Christian Burial will follow at 11:00 am at the church and led by Father Ed Pratt. Burial will take place privately at a later date. In lieu of flowers, memorial contributions may be made to St. Jude's Children's Hospital 501 St. Jude Place Memphis, TN 38105, Hospice of Dayton at 324 Wilmington Ave., Dayton, OH 45420 or charity of the donor’s choice. Add your memories to the guest book of Christine Perkins. Chris was one of the first people I met, (as well as my 1st friend) at Alter when we were freshmen. I always loved her awesome sense of humor. Our family is so shocked and saddened by Chris's passing. Chris was a wonderful neighbor and friend. No matter how tired she was from a long day's work, 'Aunt' Chris always made time to play wiffle ball or have a Nerf war with my boys. They would get so excited to hear her car pull up. Chris and my husband would spend evenings talking about landscaping while having a beer or two. And we could always count on Chris to look after our pets and check our mail while we were out of town. As warmer weather comes this spring, our family will feel her loss even more. Rest In Peace, 'Aunt' Chris. You will be missed. I am so sad to hear of Chris’ passing. I had so much fun working with her at Fraze. Prayers to her family and those that knew her that are mourning this horrible loss. I am so devastated. So lost. I can not believe you are gone. Can not wrap my head around it. You were my best friend. Over thirty years. Always there. Art school, marriages, divorces, vacations, baptisms, graduations, birthdays, good times, bad times, crazy times. Then we grew apart and now you're gone. So many memories. My whole family is lost. The girls, Elijah, we are all shattered. I hope the angels have lifted you up and you are at peace. I love you. See you on the other side. I am so sorry for your loss. I have many great memories of Chris and the great times we had in High School and out of High School. Lots of memories at your house Kate, while you were at work and we were playing hooky! LOL! I'm so thankful Chris had a chance to come visit me in Minnesota. I will miss her dearly as I know you will more so. I just know she is watching over us, laughing with us, and biding her time until we can all be together again. Everyone here at Creative Impressions, a local printing company in Kettering, is saddened and shocked to hear of Chris's passing. Everyone here is heartbroken who had the pleasure of working with her and getting to know her so well during her time at AdVentures. She was so wonderful to work with even under stressful times of hitting a critical deadline. She always had a way making you feel good about a job well done. She will be missed. Love and peace to all of her family and friends. Christine was always kind and funny and we had so much fun when we were together. I'm so glad that we were able to take a trip together years ago. A highlight of my life for sure. Struggling to get by with VERY limited Italian, it took most of our trip to figure out the waiters were saying "Gas or no Gas" when serving water, instead of "Glass or no Glass"... We just thought they only served bubbly water -- in glasses! We also saw both a Saint -- Pope John Paul II -- and a Pop Star -- a young Brittany Spears in Florence--in the same trip! Who else can make that claim? Christine was an amazing artist and Uncle Jim, admired her work. I'm sure they are painting together in heaven now! Sadly, we did not spend enough time together. I will miss her at the family gatherings and am truly sorry for your unimaginable and tragic loss. I will never forget how Chris had a caring way about her being - she carried herself being dedicated to her work and her co-workers - she will be sadly missed but never forgotten! I will always see her around Carriage Trace, riding in her cart taking care of things...………. Chris was a wonderful, pleasant person. Was always a joy to work with at the Fraze. Always had a smile on her face. God Bless and welcome her! She will be missed! This world has lost a sweet spirit. May she be granted eternal rest Dear Lord. Offering prayers for all who loved her.